Rihanna's fashion editorials never disappoint me. She always looks great, her fashion is always something I admire. Now with two outstanding super model's Naomi Campbell and Iman. All three of these ladies look amazing in Balmain Goes Wild, for W Magazine Cover. For their latest issue, Rihanna takes us to the wild side for her cover and editorial with W Magazine. 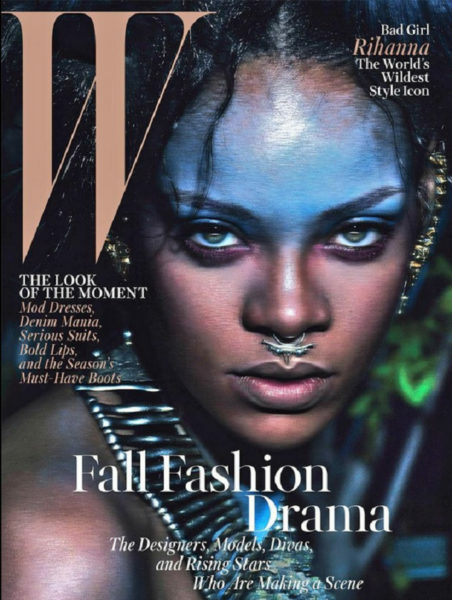 On the cover Rihanna looks tribal with a blue-painted forehead; but it’s the inside shots that really cry wolf. Aptly titled “The World’s Wildest Style Icon”, check out some photos.